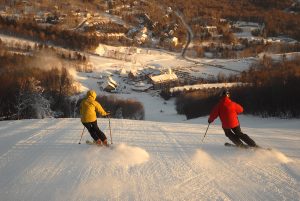 Sugarbush Resort offers easy access to all activities and events that take place across central Vermont. Experience the charm and hospitality of a Vermont country inn where the floors creak and the atmosphere is infused with fresh mountain air. Enjoy a complimentary Vermont breakfast each morning in the Terrace room. 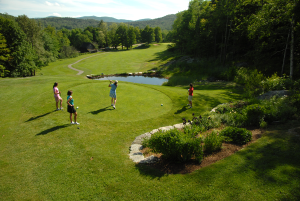 Daily activities here at the Resort include our 18-hole Robert Trent Jones Sr. golf course, chair-lift rides, mountain biking, disc golf, endless tennis programs and free access to the Sugarbush Health & Racquet Club. Our newest addition to the resort is Clay Brook. Relaxed, yet refined, a barn unlike any other, Clay Brook offers everything from studios to five-bedroom residences. Hotel-style rooms are also available on this true ski-in/ski-out property, located at the base of Lincoln Peak. 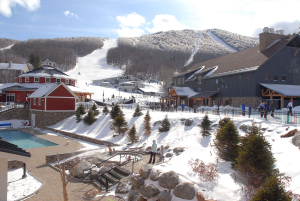 Sugarbush Resort is surround by high-profile tourist attractions. We’re less than one hour from Burlington, Rutland, Stowe and Montpelier. Sugarbush is within easy reach of Ben & Jerry’s Ice Cream Factory, Cabot Cheese Factory, Cold Hollow Cider Mill, Shelburne Museum, Ethan Allen Homestead and Rock of Ages Granite Quarries, to list just a few. 100% Vermont: Day One – Sightseeing: Mad River’s local Farmers’ Market, Ben & Jerry’s Ice Cream Factory and Cold Hollow Cider Mill. Day Two – Tour of our state capitol, lunch in downtown Montpelier then a visit to the Rock of Ages Granite Quarries. Includes 2 Vermont country breakfasts, lunch and group dinner. The Festival of the Arts: The Mad River Valley plays host to one of the most diverse festivals in New England. More than 125 art-related events and activities range from gallery visits, classes, lectures, guided tours, hands-on workshops, to helping prepare creative culinary meals. Customize any art-related even to fit your group’s needs and tour itinerary. 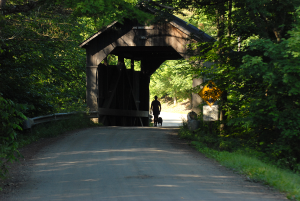 Vermont Festival of the Great Outdoors: For two weeks in July this year, Step Outside! Be it a gardening or kite building class, gap to gap guided hike, bird watching, easy stroll, mountain biking, river kayaking, or star gazing… this festival is an event that will inspire. Step outside and breathe in all the wonders that are the out-of-doors. Lodge with us at the Sugarbush Inn, where we make a full Vermont breakfast. We are happy to arrange group dinners each evening and have plenty of lunch options. Sugarbush Resort has been known as a ski resort for years, but skiing isn’t the only hidden gem here at Sugarbush. Summer at Sugarbush opens a world of opportunity. In the heart of Vermont’s Green Mountains, Robert Trent Jones Sr. crafted a golf masterpiece at Sugarbush. Amidst winding streams, rolling pastures, and a pristine mountain forest, the Sugarbush Resort Golf Club offers a breathtaking, scenic golfing experience. Hiking, lift rides, mountain biking and disc golf are offered daily via the Super Bravo lift, in addition to zip line rides, swimming and a bounce house for kids. We also offer chair lift rides with a picnic on top of the mountain, providing gorgeous views of the Green Mountains and a perfect photo opportunity. Sugarbush can easily accommodate groups of any size. 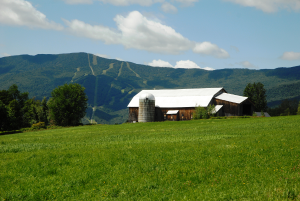 Sugarbush is nestled in the heart of Vermont, making our Resort ideal for hub and spoke day tours as well! Open 7 days except Easter, Thanksgiving, Christmas, and New Year’s Day. Seasonal amusement rides are weather permitting. Tours welcome, advanced planning recommended. Our chair lift rides are weather dependent.